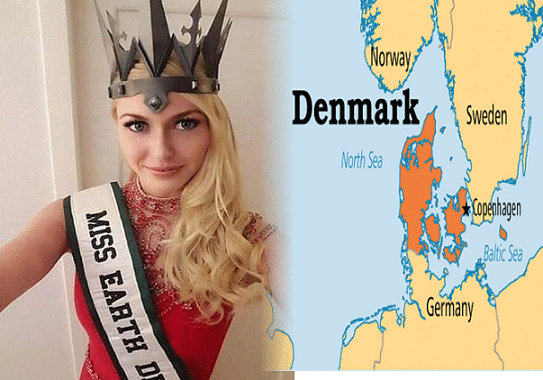 The new Miss Earth Denmark 2016 is Klaudia Parsberg in a formal crowning ceremony held at the park by Anders de Vos, National Director of Face of Denmark Organization. Klaudia Parsberg of Vejle is the first princess at the 2016 Face of Denmark pageant last May 14. Face of Denmark is a national beauty pageant that selects the representatives to the Miss Universe, Miss Earth, Miss International and Miss Supranational pageants. The original winner, Alexandria Eissinger, resigned earlier due to conflict of schedules. The 5'8" stunner will now represent the Scandinavian country in the Miss Earth 2016 contest which will be held on October 19, 2016 in the Philippines. Catharina Svensson, the first Miss Earth winner is from Denmark.